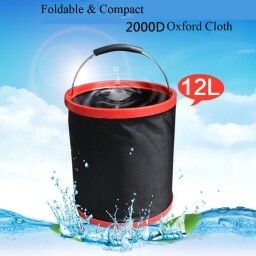 【Environmental with no-toxic material】Foldable bucket with PVC material, 2000D Oxford cloth makes it safe and strong enough. 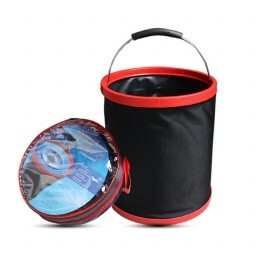 【Easy to Use (fold and unfold) & Carry & Store】 Choosing to put this foldable barrel without big space in the small corner satiefies your biggest needs, even in your mountaineering bag, the foldable and comtact bucket give all you needs for the convenience. 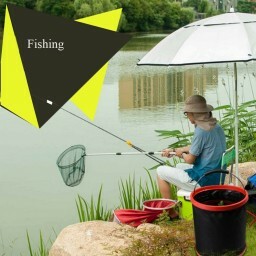 【Waterproof & Reusable 】With high density polyolefin within it, this bucket make it more strong and solid, you can easily use for a long life time. 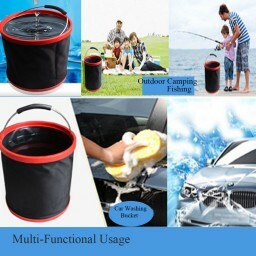 【Multi-Functional】Perfect for any water and storage containers and it can be used as a wash basin or foot bath, can also be used for camping, fishing, beach or picnic, hiking, boating, cruise and other outdoor activities. And it also can even be used to collect, coral, shells, beverage cans, and even installed sand and so on. Before or after purchase, any issues, please email at: vkoshatech@gmail.com, we are glad to help you out. Thanks !